The city of St. Louis has more than 25,000 vacant or abandoned lots. Donita Sims' new home has a few problems: The back windows are broken, the top steps leading to the second floor creak and it needs electrical work. Structurally, though, the house is solid, and as a first-time homeowner, Sims couldn't be happier. She bought this home for $1,000. The house came from the city's land bank — the Land Reutilization Authority, or LRA. If a property doesn't sell at the sheriff's sale, it becomes part of the agency's holdings. Often, that means sitting vacant for years. But Sims, 21, bought hers before its condition deteriorated beyond repair. The house, located in Walnut Park West in the city's northwestern edge, was vacant only a few years before she purchased it in October. "I've never really had my own house, or apartment, or anything," Sims says. "I lived with my mom, went to college, came back, lived with my mom. So it's a good feeling to have my own space." Sims has her friend Eltoreon Hawkins to thank for this. At 24, Hawkins is a part-time student at Harris-Stowe State University and a part-time contractor. He helped Sims find the house and navigate its purchase, and he will do the contracting work at cost. He learned his skills from a combination of working with his uncle, taking construction classes in high school and watching YouTube videos of This Old House. Hawkins was familiar with the house Sims bought: His family was friends with the previous owner, and the daughter babysat him when he was a toddler. A few years ago, the family lost the place to foreclosure. "They really kept a nice house," Hawkins says. "Even when I got older and I would come down and bring errands for my mom or I would just step in the doorway and it was still a nice, beautiful house. So that's why I cared about it." But it's not just this house he cares about. Hawkins is part of the St. Louis Association of Community Organizations, or SLACO — an organization that aims to strengthen St. Louis neighborhoods. The nonprofit formed a "Vacancy Project" two years ago to tackle the problem of empty houses in St. Louis. A subcommittee narrows the focus even further to vacant houses owned by the LRA. 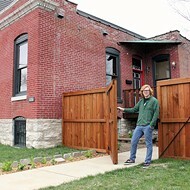 Hawkins and other members drive around St. Louis to find the best homes in the LRA's inventory. Hawkins asks the neighbors which vacant houses in their area they consider the best, inspects the structures and brings those addresses back to the LRA, which has agreed to set them aside for special SLACO outreach events. The goal is to help people who plan to live in these houses acquire them, creating communities in previously blighted neighborhoods. The subcommittee also wants to get the houses back on the tax rolls. For more than four decades, the LRA has held title to homes and other acreage lost to tax delinquency in St. Louis. It's not an ideal situation. Both the agency and the city of St. Louis spend an enormous amount of money to maintain the holdings. And beyond that is the cost to the neighborhoods that hold them: All those buildings sitting empty can lead to blight and crime and deter other investment. Efforts to tackle the problem have gained new energy in recent years thanks to a pair of reports that surveyed the work of the LRA and St. Louis' vacancy problem as a whole. Those reports found that the agency engages in virtually no marketing to sell its inventory. It also noted a "perceived lack of transparency reflected in media coverage and community feedback on the LRA." The LRA's director, Laura Costello, says the authority is taking steps to fix problems outlined in the reports. Mayor Lyda Krewson, who took office in April, has also taken a strong personal interest in making sure reforms are enacted. But beyond the changes being urged at the agency level, any effort to address the city's glut of vacant homes needs something that may prove even harder to find: Citizens willing to invest not just their money but their sweat in homes and neighborhoods that can seem far from a sure thing. Citizens like Sims and Hawkins. Even before assisting Sims, Hawkins bought two homes from the LRA in Walnut Park West and renovated both. He was also the first person to complete the city's new Mow-to-Own Program, acquiring a side lot for one of the properties by cutting its grass even before it was in his possession. Hawkins rents out one property and gave the other to his mother, Tryanna Pippens. "The minute I seen my house up, I wanted it because it was brick," Pippens says. "I'd never been in it. I just knew I wanted it." Hawkins built his mother a back deck, put a path in the back yard that leads to the house and painted the interior. It is only a couple houses down from the home where she raised Hawkins. "It was in the same neighborhood and I'm like, well, how can you run from crime?" Pippens says. "How can you run from drugs? How can you run from this? It's all here, but it takes us to take our neighborhood back, and if we get more young people buying homes instead of vacant buildings, I think we have a great chance of bringing St. Louis back, you know? We need to take charge." 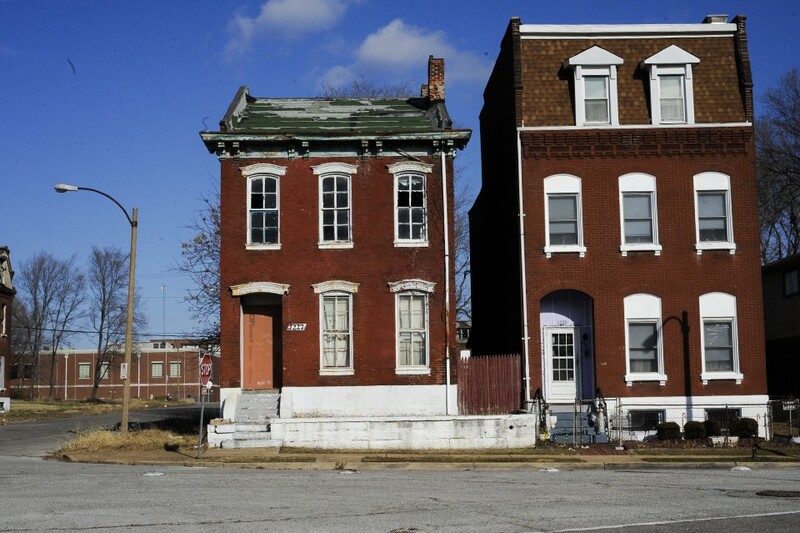 There are about 25,000 vacant or abandoned properties in the city of St. Louis. The LRA currently owns around 11,800 of them. For the past four decades, the inventory has steadily remained around 11,000, but it ebbs and flows. In 2016, for example, the LRA acquired 499 properties and sold 606. For each of the three years before that, its acquisitions exceeded its sales, a situation Costello blames on the housing crash. St. Louis used to be on the cutting edge of land-use policy: When the city established the LRA, in 1971, it was the first land bank in the country. Since then, however, other land banks have been established across the country. The Center for Community Progress estimates that 170 are currently operating in the U.S. And there's increasingly a sense that St. Louis' bank has fallen behind. "I think there's a failure on our part to keep up with the times," says Alderwoman Cara Spencer. "We were the first land bank in the country. At the time, we were leading the nation and safeguarding the properties, but we have failed to move forward with our land bank, and the world has changed around us. 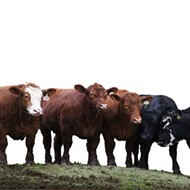 We have not adapted our land-banking strategies, and I think that's a real failure on our part." For many people interested in the LRA's holdings, acquisitions have proven difficult at best. Just getting started can be hard. LRA does not have its own website, and online instructions for buying from the LRA are scattered under different parts of the city website. Other complications owe to the nature of dealing with a government agency: Instead of just getting a simple yes or no from a seller, people purchasing from the LRA need the approval of its board of commissioners. And the agency might well insist on the "market rate" for a property, even if the particulars of a given lot don't always bear that out. Jaymes Dearing owns RE Source, a brokerage firm in Carondelet that specializes in commercial and investment property. He is also the economic development chairman for Carondelet Community Betterment Federation. Dearing began acquiring LRA property about twenty years ago, both for himself as a private investor and professionally for others. "LRA is difficult to work with," Dearing says. "I know how the system works, but most people I would say fall out of the system before they are able to get what they wanted." If everything works well, Dearing says, buying a house should take two months maximum. The LRA process, in his experience, can stretch to six. For anyone who needs bank financing, that can be a recipe for frustration. The LRA currently holds title to 11,800 properties in the city of St. Louis. Rebecca Bodicky, a florist on Cherokee Street, found that acquiring a vacant lot from the LRA for a garden proved maddeningly complicated. Bodicky already owned a double lot that she'd purchased from a sheriff's sale, but acquiring the adjacent lot from LRA — a narrow strip of land 46 feet by 1 1/2 feet long — was much more difficult than she expected. Bodicky's original offer of $1,250 for the property was rejected and she ended up paying $2,374 for it (plus another $58 in recording fees). It then took months to complete the purchase, and when she finally did, the city's Forestry Division attempted to charge her for maintenance a month before she even had access to the property. Bodicky says she would work with the LRA again, though. "Yeah, I would, because there is really no choice," Bodicky says. She's already got her eye on another lot across the street — and it, too, is LRA owned. The process can become political: A letter of support from the buyer's representative on the Board of Aldermen makes the entire process much smoother. Buyers don't officially need the letter, but if they don't have aldermanic approval, it's a dead deal. Bodicky, for one, found she needed the support of her alderwoman, Spencer, just to navigate the process. Beyond that, Dearing says property titles come with complications if buyers aren't careful. "The city will just order the deed from the Recorder of Deeds office," Dearing says. Buyers who pay for a property often assume they then own it free and clear. Dearing says that's not the case: "You don't know if someone else had a house there that owed some money on it, or there was a mortgage that was left over that the people are now responsible for, or there are some other kind of liens. A lot of times, even going through this process, there [are] liens on the property that are old from Forestry cutting the grass on it, that LRA hadn't even paid." And if buyers don't ensure a clear title, they are technically responsible for old liens, Dearing says. The previous owners could also resurface and argue they have a claim if their name is still on the title. 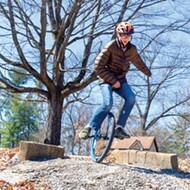 "In other words," Dearing says, "if I buy it, and I fix the place all up, and plant a garden, or pave it and make a driveway or parking area and the people come back and say, 'Well, I own this.' No — I bought it. Well, run the title work and their name is on it. I mean, my name is on it too, but so is theirs. So it's messed up. Then you have to do legal work to sort that out." Mike Baldwin, a developer in the city's 5th Ward, stopped buying property from LRA in 2010 after he had trouble getting sponsorship from his alderwoman. "If you're not on friendly terms with your alderperson, it's difficult," Baldwin says. "In some cases, we had to get sponsorship from the president of [the Board of] Aldermen." Baldwin says the only reason he is willing to talk about the LRA was because he no longer buys property from it. "It's impossible to get these lots; it's impossible to get these buildings," Baldwin says. "By the time you get them, the building has deteriorated and you can't repair it." Eltoreon Hawkins acquired this home through the city's Mow to Own program. In the past two years, two major reports have taken a hard look at vacancy in St. Louis. The general message from both is that while vacancy is a significant problem, the LRA is severely understaffed and underfunded. The Center for Community Progress released its report in June 2016 after it selected St. Louis for its Technical Assistance Scholarship Program. The report found "no unified city vision regarding the elimination of vacancy and abandonment." The second report, released in February, was done after the city asked the U.S. Environmental Protection Agency to conduct an independent assessment of the LRA as part of the "Strong Cities, Strong Communities" initiative. The EPA hired design firm Asakura Robinson, whose staff then interviewed 80 local stakeholders and also spent a year working with the LRA to develop a strategy for improvement. The Asakura Robinson report outlined six goals: "Define a forward-looking, inclusive LRA mission and vision, formalize LRA policies and procedures, manage vacant properties comprehensively, foster clear communication and transparency to build trust, grow the LRA's staffing and financial resources and build and solidify partnerships." The report found that the agency's policies were often too informal — "leaving the LRA vulnerable to unexpected changes in its relationships, political forces that can hamper the LRA's ability to use its limited resources strategically, and hampered in its ability to share information with the public about how the authority determines its priorities." Both studies identified a lack of transparency from the LRA and deep mistrust from the community. The report from Asakura Robinson states, "Media coverage and community feedback on the LRA reveals a perceived lack of transparency in LRA policy that has sometimes created conflict between residents, policymakers, and the LRA." The heart of the problem, though, "appears to arise from a dearth of adequate systems and resources to convey information to the public," the authors concluded. Both reports suggest that St. Louis use the Kansas City Land Bank as a model. While St. Louis has been almost entirely reactive, waiting for prospective buyers to find its holdings, Kansas City has instead made a concerted effort to find buyers. Since it began in 2012, the Kansas City Land Bank has implemented various types of sales, such as "the Heart of Kansas City Sale," offering nicer homes in its inventory for $999, or the "$1 sale," which sold homes intended for demolition for $1. The land bank then gave the $8,500 that had been earmarked to demolish the house to the new owner to use in repairing it. The land bank also donated five acres to a group of social workers, says Executive Director Ted Anderson, who cites it as his favorite project. The Veterans Community Project aimed to build 50 tiny houses for homeless veterans. According to a 2013 case study, Kansas City had 12,000 vacant or abandoned properties in 2012. The city spent approximately $1.8 million in upkeep and maintenance on those properties that year. Today, five years after the land bank's establishment, the agency has decreased its inventory to only about 4,000 properties. However, the reports looking at St. Louis' land bank also acknowledge the significant constraints that the LRA operates under, a situation that makes Kansas City's success feel like an unfair comparison. The LRA receives no funding from the city of St. Louis. In fact, its only dedicated source of revenue is whatever it earns from sales. In fiscal years 2015 and 2016, that was about $800,000. And since it's not technically a city agency — it falls under the St. Louis Development Corporation, or SLDC, a not-for-profit with a separate charter — it has to pay the city agencies it works with, including the Collector of Revenue and the Recorder of Deeds. That eats up about one-eighth of its budget. In contrast, the Kansas City Land Bank has an operating budget of approximately $2 million, even as it manages less than half the number of properties as the LRA. Eighty-five percent of its budget comes from the city's general fund, with just 15 percent coming from sales. "We practically give our property away," Anderson says. "So we do it differently." With a funding model like the one in St. Louis, he says, "we couldn't even pay our staff." 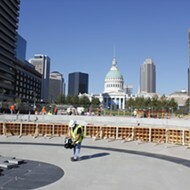 A national study suggests there are now 170 land banks operating in the U.S. St. Louis' was the first. The LRA office isn't in City Hall — it's two streets over on the second floor of 1520 Market Street in the SLDC office. In an uncomfortably warm meeting room with pea green walls, Laura Costello, who effectively serves as the LRA's director but whose actual title is "director of real estate" for the SLDC, reviews printouts of a PowerPoint. She prepared it a couple months ago for SLACO and believes it provides a good overview of her agency's functions. "LRA has never received an offer, or expression of interest, on 46 percent of its inventory," Costello says. "And that defeats the theory of people saying, 'Why doesn't LRA just give their property away?' — 50 percent of it no one would take anyway." Included in the agency's roughly 11,800 parcels of inventory are 70 billboards, two cemeteries and 15 former gas stations. Repeatedly, Costello notes that LRA is not a branch of city government and that the city doesn't own the vacant lots in LRA's inventory. "People say the city of St. Louis owns it," Costello says. "The city does own property, but not the LRA property." And that distinction, while seemingly unimportant to people looking for real estate to buy, can mean significant expense for an agency trying to manage a massive portfolio of property. Costello is defensive when she stops reviewing the PowerPoints. She won't answer simple questions like, "Could you tell me how you started working with SLACO?" or, "What do you think the purpose of a land bank is?" until she can ascertain the motives behind them. Costello is also notoriously difficult to contact and seldom gives interviews. It took multiple requests over two weeks for her to agree to this one (although, to her credit, she came back early from a vacation to make it happen). 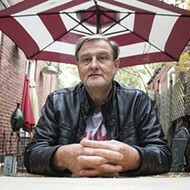 Costello has been with the LRA since 2006. And she understands her agency is now in the hot seat. Since Mayor Krewson took office, Costello says the mayor calls regularly for updates and wants buyers to be able to apply for property online. 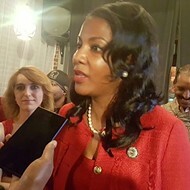 "The mayor believes that the vacancy contributes to crime, so she is pushing constantly for us to work on all the strategies provided to us by these two reports," Costello says. Costello says the mission of the LRA is "to return the land to effective reuse" and that the agency is meeting that purpose. Asked for its vision, she cites the study released in February. "Right now I would say our biggest guideline would be the Asakura Robinson strategy," Costello says. "We worked with them for a year putting that strategy together. So that's the vision I see." Costello says improvements that have already been made include a report on the cost of vacancy, updates to the website and a policy-and-procedures manual that is almost complete. One reason the public may perceive the LRA as slow, Costello says, is that its seven employees have huge caseloads, and buyers don't always show up for their appointments. 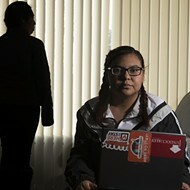 "If our woman that takes the application, if she has eight appointments scheduled that she gets ready for, she gets all the paperwork ready for someone to make an offer on the property, four will show up," Costello says. "If she has six closings scheduled, closings — we have the deeds, we have the title work, we have the transfer deeds, the quitclaim, everything needed, the closing statements dated for that day, everything — if she has six closings scheduled today, three won't show up." The LRA is currently searching for another real estate specialist and expects to hire a vacancy specialist by the end of the year. "People think that the LRA is the problem," Costello says. "The problem is everything else that led that property to be abandoned to begin with. Now someone has a face on that property, they have a phone number on that property. They can call and complain and get the grass cut and the board up. And so with that comes the blame of the property. So I guess I wish people knew that LRA isn't the problem, the problem started years before it came into our inventory." She adds, "We're not the enemy. 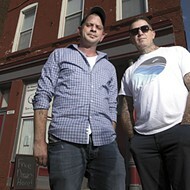 We're the owner of last resort." Donita Sims' house was featured in a SLACO workshop highlighting the Finest 15. Where the LRA has fallen short, SLACO has been trying to fill in the gaps. The neighborhood group helped put Proposition NS on the April ballot. A one-cent property tax increase per $100 value, the proposition would have allowed St. Louis to sell up to $40 million in bonds, then use up to $30,000 per home ($50,000 for multi-family properties) to fix them up for sale. But even without that financial infusion, SLACO is still doing what it can to combat vacancy. Its LRA subcommittee has recently started holding workshops called the Finest 15 — showcasing the best fifteen homes in specific neighborhoods and educating people about the process of buying LRA-owned property. When LRA subcommittee members approached Costello this year about working with them, they found a willing partner. Angela Drake is the secretary for SLACO's executive board. She sits on the vacancy committee and co-chairs the LRA subcommittee. "We had a meeting with Laura," Drake remembers. "We sat down, we talked with her, we explained to her what we wanted to do. She was very helpful. She told us that whatever she could help us with, she was all for. Anything to help get an LRA home sold and get it back on the tax roll." Drake insists that buying property from the LRA is not as difficult as others may claim. She says, "We always tell people, keep it basic: ID, bank statements, past two year tax returns and create a budget." A bright coat of paint brought vibrancy to the house Eltoreon Hawkins acquired on his mother's behalf. Hawkins, who works with Drake on SLACO's efforts, also disagrees that the LRA is difficult to work with. When he first became interested in LRA property, he sat down with one of its real estate specialists, who explained the process to him. "I think it comes from fear and our culture and our generation," Hawkins says. "We're just afraid of trying new things, and they get hit by one brick wall which is things like, 'OK, you need a bank account.' Many of our people don't have bank accounts, so once they get hit by that brick wall, they say, 'Oh, it's a complicated process,' or, 'They're difficult to deal with, it's too much.' But if you sit down with someone who has been through it or has done it before, they can help you along the way." Sims was the first Finest 15 success story; since she purchased her home, the group has helped others move to purchase from LRA as well. The workshops have grown from fewer than ten attendees when they began in June to more than 50 people at the end of October. "We can get these properties, and we can turn these around," Drake says. "We can create better neighborhoods, because I think it all plays in together. I think taking a vacant home and bringing it back to life and bringing it back to becoming a home that a family physically lives in says a lot. And I think it says a lot for our city." 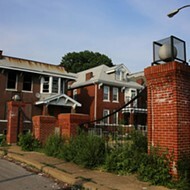 Drake grew up in north St. Louis, where the majority of vacant properties are located. She is hopeful that efforts like SLACO's can transform its neighborhoods. "I remember being a kid, and it did not look like that," she says. "It's always been a dream of mine to have a revitalization. I think that being part of that vacancy committee, I think is my contribution to giving back. Saying I'm going to help fight this cause, even if it's one home at a time, putting it back on that tax roll." Donita Sims purchased her home in Walnut Park West for just $1,000. Standing in her brand-new, $1,000 home, Sims is wearing a black fall coat that isn't quite warm enough for the weather. She says this room, with its brick fireplace, will probably be her favorite. Hawkins excitedly discusses their renovation plans. "She originally thought that carpet throughout the whole house would be a nice idea," Hawkins says. "But I told her people's kind of coming away from that." Sims says friends and family have reached out to her about the process of buying from LRA ever since SLACO issued a press release this fall, touting her as proof the process works. "Some of my friends already knew about it before the press release," Sims says. "I try to encourage, like, you know, this is the future plan. Even if you don't want to do it now, still keep it in your mind when you do get some income. Since we've had the press release, I've had a lot of family support contacting me if I need help with certain stuff. They've been asking about the process, and a lot of people are interested. I tell them to come to the meeting." And there will be plenty of meetings; SLACO's subcommittee is planning to hold five "Finest 15" workshops in 2018. "My mom actually wants to buy one herself," Sims says. "She wants to stop renting." Hawkins estimates that Sims will spend $5,000 to $6,000 on repairs for her home, mostly on the electric, kitchen and bathroom. "If you have more private entities like the Finest 15 or SLACO that actually walk people through the process and help them along the way, that's where we're going to win at," Hawkins says. "That's where we're going to help people buy more properties." Hawkins is graduating from Harris-Stowe this month and plans to move into what he does with SLACO and his contracting business full time. "I just did a tour on Sunday," Hawkins says. "We toured five different houses. Even though they're vacant, they're wet, they're dank, even though they're scary sometimes, I had a great time. We went to house, to house, to house. That's just what I love doing — showing people what they can possibly turn things into."